Winter can be a downer for many people. Ever-falling flakes can spell sadness for many, especially those that can’t get out of their homes. If you have enough stamina and energy, shovel out your neighbor’s driveway when you’re shoveling your own. Bake some cookies and give them to random people in the neighborhood. Leave them at their doorstep with a note of blessing. What a great surprise when the holidays have ended to come home to a special treat baked with love for those around you. Winter may be cold, but the love you share with others can provide extra warmth on those chilly nights. If you are like me, hospitality can sometimes get tacked on at the end of a busy schedule, often ignored or neglected. Why not use the time trapped indoors to forge new friendships? Invite a couple over from church that you don’t know well. Commit to doing this once a month in the winter. Who doesn’t enjoy a friendly competitive game night getting to know brothers and sisters in Christ? Or you can have established friends over and make dinnertime a time to look forward to as you enjoy it together. It sounds simple enough, but how often do you take time for yourself? Fill the bathtub with warm water, light some candles, and play some soft music. Even if you only have a half an hour to take a bath, it will do wonders. Read a book or simply lock the doors for some “me” time. The warm water relaxes nerves as well as your central nervous system. You will never regret taking time to relax once you have reaped the physical, emotional, and spiritual benefits. With a tight budget like ours, we often don’t have enough money to plan a vacation. But I do myself a disservice when I don’t put aside money throughout the year and take time to give my undivided attention to my family. Plus, the bonds and memories made on those trips are priceless. If money is a real issue, plan a staycation and get to know your town or state a bit better. Visit state parks and other attractions you wouldn’t normally attend. You may learn history about your beloved town or make memories seeing the sights of the beautiful world God has created. 5. Take a spa day. Treat yourself to a massage, facial, or other beauty treatment. If money is an issue, you can also make your own spa at home. Put warm water in a large basin to soak your feet, cut up cucumbers to place over your eyes, and ask a family member to rub your shoulders and feet. Even an hour or half an hour of pampering will do your body good. This is something to look forward to when the temperatures drop. Do something for yourself—you deserve it! The winter is the perfect time to take up a new hobby or learn a new skill. Without the distraction of sports activities, family picnics, and other activities, you can use the three months of freezing cold temperatures to improve your life. Want to learn a new instrument? A new language? Want to bake grandma’s recipes or learn to cook some ethnic dishes? Winter can be the key to unlocking new tools and skills you didn’t know you had. 7. Do a winter cleaning. I’ve never understood why spring is the time for “spring cleaning.” While stuck indoors, use your time wisely and clean out closets, garages, attics, and basements. This is especially helpful after Christmas gifts have arrived in your home. With the influx of all that extra stuff, I imagine there are other possessions you can get rid of to make room for the new ones. Practice minimalism and challenge yourself to get rid of unnecessary things for the new year. You’ll be blessing your local charity by donating your unused goods and you will feel a spiritual benefit as you lighten the load on your mind and heart. 8. Start a reading challenge. Create a challenge to read a certain number of books during the winter months. Start in January and end in April. Read as many as you can realistically achieve. Push yourself to not only dust off books on your shelves you haven’t read yet, but also try reading books in genres you don’t generally gravitate to. This reading time will give your mind a boost as you focus on the worlds inside those pages. During the other times of year, the busyness of life can crowd out the ability to measure and progress on our spiritual journeys. But during the winter we can make the time stuck indoors more productive. Choose two or three new spiritual disciplines to incorporate into your life. You can choose to fast weekly from meals, or you can try a media fast or fast from a favorite activity. Now is a perfect time to start a journal to write down what you feel God is saying to you through Scripture. You can also spend time daily or weekly in silence and solitude. Commit to memorize one verse a week from the Bible. If that’s too much, at least challenge yourself to read a different translation of the Word as part of your Bible study. While many of us hate the gym, the gym can be used as a way to push yourself toward better overall health. Hire a trainer and let them create workouts and nutrition plans that push you toward a healthier body. You can also purchase home gym equipment so you can work out in the privacy of your basement or other room in the house. You might be able to sneak in a workout while binge watching your favorite show. Who knew watching TV could lead to a better body and closer to your health goals? 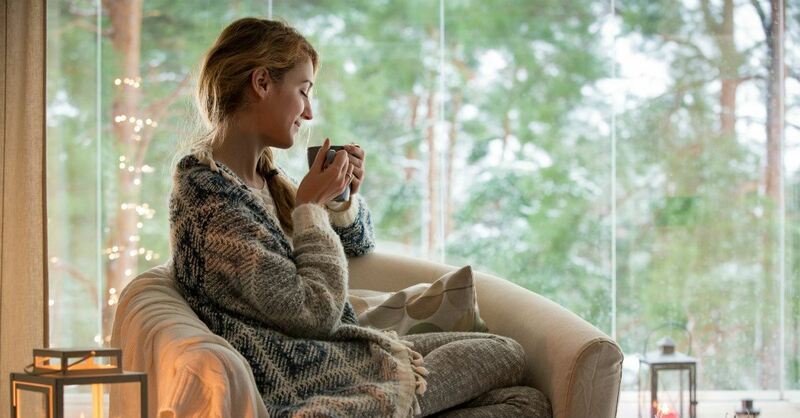 For most of us, we dread winter because of the sore throats, freezing toes and time indoors. But winter doesn’t have to be boring; it can actually be a time to look forward to. By practicing the suggestions above, you can have a productive winter, one that will improve your life in more ways than you might think. Michelle S. Lazurek is an award-winning author, speaker, pastor's wife and mother. Winner of the Golden Scroll Children's Book of the Year and the Enduring Light Silver Medal, she is a member of the Christian Author's Network and the Advanced Writers and Speakers Association. Her first book with Leafwood Publishers, An Invitation to the Table, came out September 2016. She also teaches at various writers' workshops, such as the Montrose Christian Writers conference. She and her husband live in Coudersport, Pennsylvania, with their two children, Caleb and Leah. For more information, please visit her website at michellelazurek.com.